A new, nearly three-minute, 360-degree video public service announcement from the Cosumnes Fire Department aims to educate residents on highway safety. It's also an early step in larger agency plans to enhance safety for residents and first responders through technology and innovation. 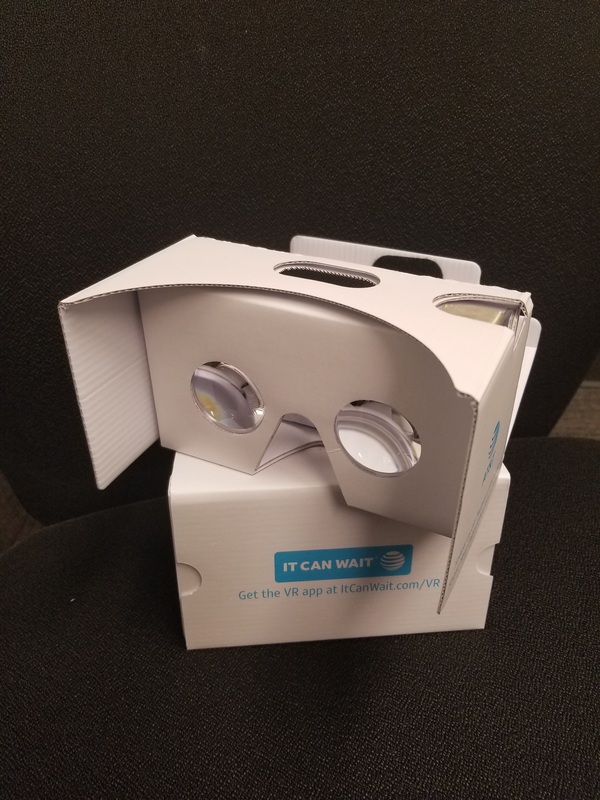 Cosumnes Fire Department's new 360-degree video public service announcement will be available to south Sacramento residents during fire station tours and community events, on donated Google Cardboard devices. The Cosumnes Fire Department (CFD) is making good on its commitment to bring technology and innovation to bear on some of first responders’ most persistent issues, with the debut on Feb. 4 of a new 360-degree video public service announcement on highway safety. CFD will immediately incorporate the technology into its public education, the department said in a news release. It will show the video to south Sacramento residents during fire station tours and at community events, using donated viewers. In front of the camera, Flynn welcomes viewers to CFD Station No. 74 where, he tells them, he operates “one of the busiest engines” in the entire Cosumnes Community Services District. “We drive to emergencies all day and all night, and I’m here to tell you: when you see lights and sirens, please — pull to the right and stop. It’s for your safety and ours, so we can all go home to our families, said Flynn in the video before inviting residents to “come along with us and see what we see while responding to emergencies.” During the remainder of the video, which is available on YouTube, viewers can ride along with CFD as Flynn’s engine responds to a call with lights and sirens — and see firsthand what happens when motorists don’t obey one of three simple rules when the engine approaches. Officials produced the video in-house with equipment and financial support from AT&T, W.S. Darley & Co., GoPro Inc., Responder Corp. and Verizon. The short subject, filmed on a Fusion camera from GoPro, can be seen on all Internet-enabled devices, but 400 donated Google Cardboard devices lend it the full 360-degree video experience. Verizon donated 200 Google Cardboards; AT&T and Responder Corp. each donated 100. CFD’s first public-facing deliverable, according to Cosumnes Fire Capt. Kirk McKinzie, the PSA is one early part of a “progressive delivery model” and the first step toward 911 Go, a multi-faceted platform. The department envisions 911 Go, a name inspired by the Pokemon Go app-based game, as a publicly available app. It would aggregate building information, artificial intelligence and the Internet of Things to power a 3-D map of a user’s environment, enabling escape from a fire or emergency and access for first responders. The app is currently in concept form and awaits funding. “Cosumnes Fire is grateful for the support in beginning the 911 Go virtual reality public safety messaging campaign,” McKinzie, a technologist, said in a statement.